So it may still be in the high 90s here in Arizona, but that hasn't stopped me from craving warm, fall-like comfort food. 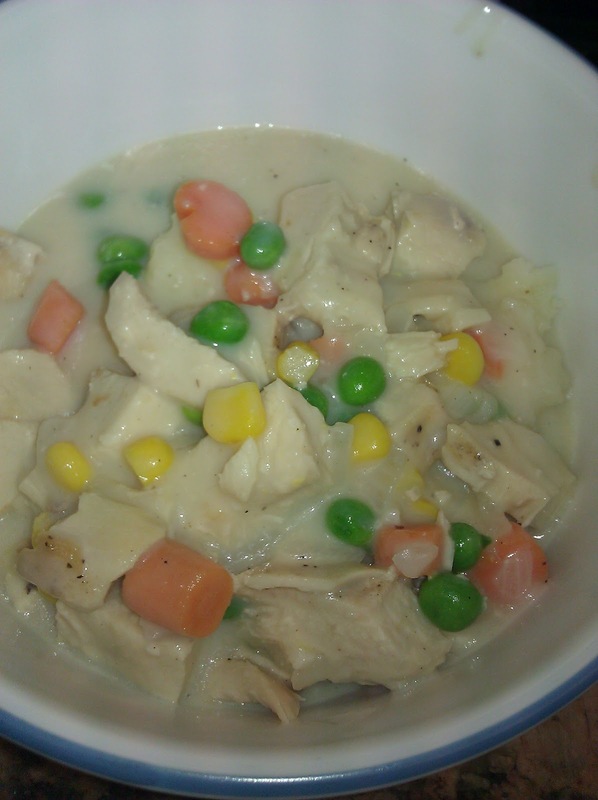 I ran across this recipe, combining chicken pot pie in a soup-like form, and poured over mashed potatoes and served with biscuits. Can you say delicious? If you are thinking that this may be a bot of a starch overload... well, just don't think about it. Think about the healthy serving of roasted chicken and fresh veggies, which just happen to be served in a buttery sauce and sinfully yummy mashed potatoes. C'mon, indulge a little. You know you want to. Heat the butter and oil together in a large soup pot. 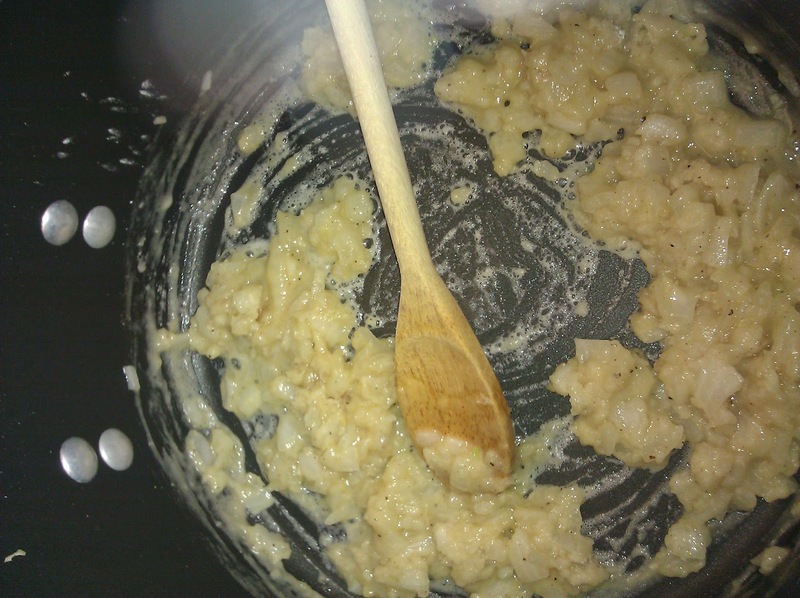 Add the onion and garlic, saute the mixture until soft. 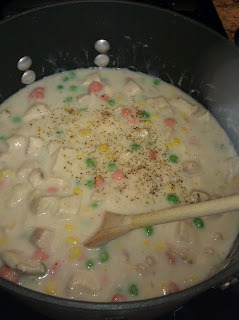 Sprinkle flour over the mixture, and stir for several minutes until the flour is golden. 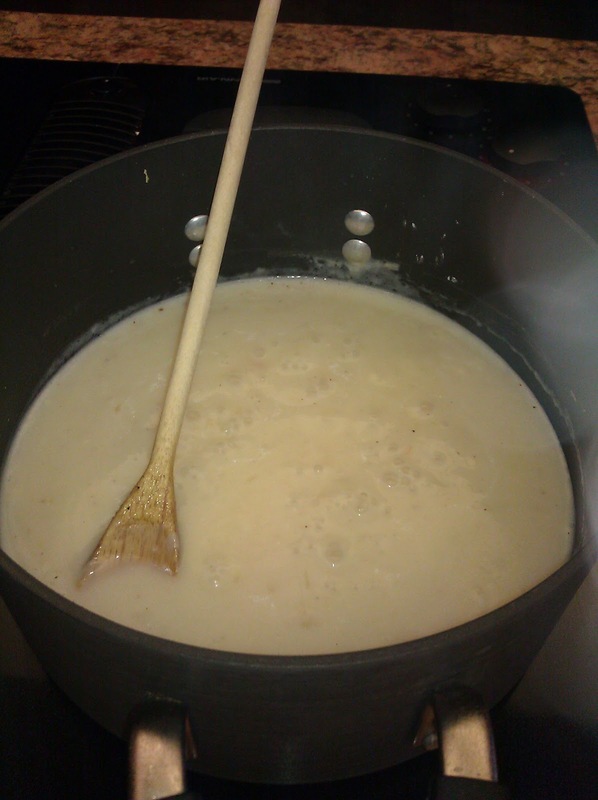 Add the chicken stock and milk, bringing to a boil. Lower the heat to a simmer, stirring frequently until thickened. Place potatoes in soup pot, cover with water, add a handful of salt, and bring to a boil. Boild for about 20 minutes, until potatoes are fork tender. Meanwhile, heat butter and milk, until butter has melted. Drain potatoes, add back to hot soup pot and steam for another minute. Add butter and milk mixture, salt and pepper, and mash with potato masher or with hand blender. Serve hot. Ooooh yeah! Ya got me with that one. I'll be making it soon.